Newspapers have a distinguished history in Florida, dating back to the East Florida Gazette (1783), which was the first newspaper published in Florida. During the early 1800s, the Seminole Wars began and were comprised of conflict between various Native America populations, the black population and the white population. In 1821, Florida was relinquished by Spain and became a United States territory. During this time, The Floridian was published in Pensacola and the Florida Gazette in St. Augustine. Although there were less than 40,000 people living in Florida in 1830, James Owen Knauss claimed that there were forty-four published newspapers at the time. His book Territorial Florida Journalism is considered to be one of the only sources of information on Florida newspapers of this time. On March 3, 1845 Florida became the 27th state admitted to the Union. The population in Florida this year had risen to approximately 66,000. In the time leading up to the Civil War, the number and influence of Florida newspapers had significantly increased. Many of the papers were strongly influenced by political views. Some of these include the Florida Whig (Marianna),The Whig Banner (Palatka), The Southern Confederacy (Jacksonville), The True Southerner (Tampa), and the Florida Union(Jacksonville). There were only twenty-six weekly newspapers during this time, all of which played a large role in broadcasting news regarding daily issues such as slavery and support for secession and war. The Tallahassee Floridian and Journal was an early supporter of secession, even urging citizens to form militias. During this time the St. Augustine Examiner and the Key of the Gulf were a few of the newspapers seized by the Union. In 1873, the Gainesville New Era began publication as the first African-American owned newspaper in Florida. After the Civil War, Florida newspapers went on to wield heavy influence on the political and social development of Reconstruction. A total of forty-two newspapers were published in Florida at this time. The period of Reconstruction had a significant impact on the state, leading to an economic boom that resulted in increases of building, expansion, and tourism. Newspapers were covering war, epidemics, the land boom, the automobile industry, and natural disasters. In 1905, there were approximately 600,000 people living in Florida and 173 published newspapers, including nineteen daily papers. Post-World War I, the number of dailies grew to fifty-three, though that number dropped to forty-six by 1927 due to the collapse of the land boom. As Florida evolved into a more urban state, newspaper circulation drastically increased in large urban areas such as Jacksonville, Miami, and Tampa and coverage began to shift from local to national news. Newspapers in large urban areas also began featuring international news. Florida newspapers have become extremely diverse, largely in part due to population movements into the south part of the state. There are currently close to two million Hispanics residing in Florida and approximately 280 Spanish-language newspapers listed in the United States Newspaper Program database. There are also fifty-two African American newspapers currently identified in Florida. Newspapers played a crucial role in Puerto Rico's history in the time between 1836 and 1922. Colonial authorities, the elite, political actors, labor activists, women, etc. 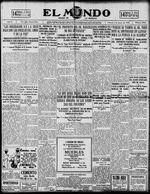 were the primary users of newspapers during this time, using newspapers to promote their activities. The relationship between Puerto Rico and the United States was also brought to light in many of the newspapers of this time. In the early 19th century, the printing press arrived in Puerto Rico. The first Puerto Rican newspaper, La Gaceta de Puerto Rico, was published in 1807. It included insular and European views while reflecting the views of the Spanish government and eventually became a means of official communication. In 1821 Puerto Rico's first daily, Diario Liberal y de Variedadesde Puerto Rico, began printing with focus on the discussion of farmers rights to own land. The Spanish Crown regained power in 1834 and began to censor the press. After the Chamber of Commerce was established, the Boletin Mercantil de Puerto Rico was founded with its primary intentions being to promote commerce, industry, agriculture, and literacy production. Movements toward independence and the abolishment of slavery were condemned by both La Gaceta and the Boleti­n Mercantil. 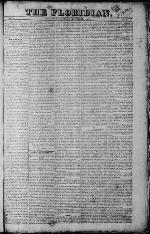 In 1866, Spain introduced a new printing law which considered it a crime to write against the King and the Royal Family, the Legislative Chambers, the Parliamentarians, and other ministers or government officials. This law was extended to Puerto Rico between 1869 and 1870. The censorship was lifted in 1870, leading to the beginning of forty-five newspapers in Puerto Rico between 1870 and 1874. The First Spanish Republic was established in 1873, paving the way for the foundation of conservative and liberal newspapers, such as Don Simplico, Don Candido, La Verdad, El Avisador del Comercio, El Semanario Puertorriqueno. With the Spanish American war ensuing, Governor Primo de Rivera's delivered a press conference in 1873 stressing the importance of the press, yet asked for moderation to avoid alarming the population or offending the U.S. government. The fall of the First Spanish Republic in 1874 gave way to a period of conservatism and repression. Despite Governor General Jose Laureano Sanza's intellectual repression, two of the most important liberal newspapers appeared in San Juan: El Buscapie and El Clamor del Pais. These were later censored and punished for criticizing the tyranny of Spanish governors, while other papers made their debuts in other cities. One of the most important newspapers founded was La Integridad Nacional, a publication of the party Incondicional Espanol. In 1887 liberals were severely persecuted, journalists and editors were imprisoned and condemned to death, which led to the disappearance of many newspapers. El Porvenir and El Escarpelo ceased production in 1889. The year 1890 marked a change for newspaper publications with the beginning of nineteen newspapers; twnety-five more followed suit in 1891 and in 1892 an additional twenty-seven were established. El Noticiero, successor to El Diario de Ponce, was founded by Ramon MarÃ­a. In 1893, Aguadilla published its first newspaper La Region. Voz del Pueblo, directed by Pedro Acevedo Rivera, replaced Aguadilla's El Criollo. The press in Puerto Rico underwent great transformation in the 1890s. Puerto Rican journalism gave way to critical news and information, journalists became more professional, and editors began to rely more on facts than opinion. Luis Munoz Rivera, founder of the Union Party, established La Democracia, one of the first Puerto Rican newspapers to take advantage of new technologies and became one of the most influential papers of the time. La Correspondencia de Puerto Rico was founded by businessman Ramon B. Lopez and published interesting news, swaying away from siding with any political group or ideology. During this time the labor movement was developing and Ensayo Obrero was the first newspaper associated with it. Prior to the Spanish American War, there was great discussion on the role of the US newspapers as instigators of the war, of the reaction of the European press, and of the Caribbean's economic dependency on US markets. During the Spanish American War, many correspondents of the US traveled to Cuba and Puerto Rico to cover events related to war. Reports of these journalists were published in papers such as the Equator-Democrat, the Herald, Harperâ's Weekly, Chicago Record and the Chicago Daily News. Puerto Rican journalists admired the idea of free speech found in US newspapers and the press carefully followed its development knowing that the war would change their fate. Prior to the transference of Puerto Rico's sovereignty to the US, the first English newspaper, The Porto Rico Mail, was published. After becoming a US territory, La Gaceta replaced Spain's coat of arms with the American eagle. Years following the war featured continued persecution of journalists. La Democracia was repressed by the government, leading to beginning of Diario de Puerto Rico also founded by Luis Munoz Rivera. Both papers supported the idea of autonomy for Puerto Rico and suffered censorship. In 1901, El Aguila de Puerto Rico was founded and promoted annexation and statehood. Union Obrera published in 1902 focused on the labor movement; La Correspondencia de Puerto Rico became political, while El Boleti­n adopted a journalistic approach. By the end of the early 1900s, English newspapers such as The Portorrican Student, The Horticultural News, and Porto Rico Progress began publication. El Diario de Puerto Rico, Puerto Rico Ilustrado, and El Mundo were three of the most important Puerto Rican newspapers during this time. El Diario de Puerto Rico was very influential and continues publication as El Nuevo DÃia. Puerto Rico Ilustrado significantly impacted literacy production at the time, and El Mundo became one of the most popular newspapers.